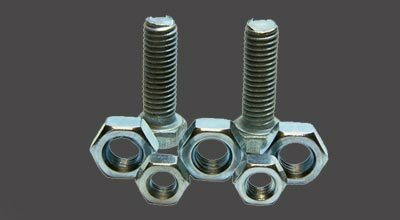 Incoloy DIN 1.4958 / 1.4876 Allen Cap Screw, Incoloy UNS N08810 Threaded Stud Suppliers at UAE, Incoloy 625 Hex Domed Cap Nuts Suppliers at Egypt, Incoloy 625 Hexagon Nut, Incoloy 625 Head Square Neck Bolts Manufactures France, Incoloy 625 Hex Head Screw Supplier & Exporter in Mumbai India. Alpha Overseas is a leading manufacturer and trader of Alloy 800 / 800H / 800HT Fasteners, which are meant to control carbon and grain size for to optimize stress rupture properties. Inconel 800 Fasteners has high demand among our clients all across the globe, which is sourced from our reliable experts who manufacture them from high grade material. Inconel 800H Fasteners is stereotypically used for uses involving enduring exposure to high-heats where resistance is required from carburization, rust and other categories of high-heat corrosion. Inconel 800HT Fasteners has good creep-rupture properties at temperatures above 1100 Degree F (600 Degree C). Alloy 800 Fasteners has further reforms to the united titanium & aluminium stages to ensure best possible high heat properties. 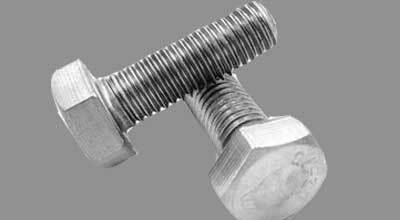 Alloy 800H Fasteners is extremely resistant to corrosion, even in acidic environment. Alloy 800HT Fasteners is a solution temperature treated (2100 Degree F / 1150 Degree C), measured-carbon kind of alloy with enriched elevated heat properties. Incoloy 800 Fasteners has many different industrial applications, some of which include: Heat exchangers, Industrial furnaces, Hydrocarbon cracking and so on. ASTM B160 Incoloy Stud Bolts Manufacturer at Kuwait, Werkstoff No 1.4859 Incoloy Self Tapping Screw Exporter at South Africa, Incoloy 625 Spring Washers, Alloy 625 Fasteners Suppliers at Spain, Incoloy 625 T-Head Bolts, Incoloy 625 Threaded Rods Manufacturer & Stockist in Mumbai, India. Incoloy 800H Fastenersis also used for process piping, carburizing equipment, nuclear steam-generator tubing and heating-element sheathing. Incoloy 800HT Fasteners features a restricted elemental structure that is within standard chemistry but also requires heat treating. The chromium in Incoloy 800 Fastenersimparts resistance to oxidation and corrosion. Excellent resistance to chloride stress-corrosion cracking is another important feature of Alloy 800H Fasteners. Alloy 800H is applied in Chemical Processing and Food Processing Plants. We are Exporter of Alloy 800 Fasteners in Worldwide Such as Namibia, Czech Republic, Taiwan, Thailand, Portugal, Bolivia, Canada, Israel, United Arab Emirates, Poland, Australia, Trinidad & Tobago,Tunisia, Nigeria, Denmark, France, Saudi Arabia, Mexico, Sweden, Angola, Azerbaijan, Costa Rica, Jordan, Lithuania, South Korea, New Zealand, Venezuela, Sri Lanka, Yemen, Colombia, Kazakhstan, Croatia, Lebanon, Austria, India, Brazil, Mexico, Philippines, Malaysia, Bhutan, Singapore, Hong Kong, Kenya, Iran, Mongolia, Slovakia, Ukraine, Argentina, Netherlands, Russia, Italy, Peru, Spain, Gambia, Puerto Rico, Kuwait, Greece, Morocco, Afghanistan, Germany, Romania, United States, Egypt, United Kingdom, Iran, Belarus, Gabon, Switzerland, Zimbabwe, Hungary, Serbia, Turkey, Tibet, Pakistan, Libya, Nigeria, Estonia, Ghana, Belgium, Japan, Macau, Chile, Qatar, Chile, Ecuador, Bangladesh, China, Vietnam, Bahrain, Indonesia, Nepal, Poland, South Africa, Ireland, Norway, Oman, Finland, Iraq, Bulgaria, Algeria. We are Suppliers of Alloy 800H/800HT Fastener in India Such as Doha, Ho Chi Minh City, Singapore, Los Angeles, La Victoria, Milan, Ernakulam, Indore, Algiers, Pimpri-Chinchwad, Kuwait City, Perth, Bhopal, Hanoi, Calgary, Chandigarh, Riyadh, Kanpur, Faridabad, Vadodara, Aberdeen, Jaipur, Caracas, New York, Kuala Lumpur, Bengaluru, Manama, Surat, Colombo, Gurgaon, Madrid, Chiyoda, Busan, Navi Mumbai, Nashik, Ranchi, Dubai, Gimhae-si, Muscat, Coimbatore, Toronto, Lagos, Dallas, Dammam, Tehran, Houston, Bangkok, Lahore, Courbevoie, Petaling Jaya, Geoje-si, Al Jubail, Hyderabad, Istanbul, Jamshedpur, Rajkot, Melbourne, Haryana, Seoul, Jeddah, Vung Tau, Brisbane, Mumbai, Ahvaz, Visakhapatnam, Abu Dhabi, Baroda, Hong Kong, Thane, Bogota, Sydney, Granada, Nagpur, Sharjah, Montreal, Noida, Howrah, Al Khobar, Ulsan, New Delhi, Mexico City, Pune, Rio de Janeiro, Port-of-Spain, Atyrau, Kolkata, Secunderabad, Ludhiana, Ankara, Thiruvananthapuram, Jakarta, London, Karachi, Moscow, Santiago, Ahmedabad, Cairo, Edmonton, Chennai.